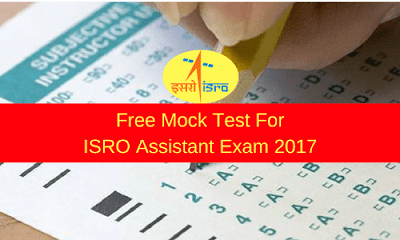 The ISRO Assistant Exam is approaching near and you all must be looking for practice set or sample mock test. Here we have a free mock test for everyone. This paper is going to be offline thus we are providing the mock test in PDF format and it is absolutely free of cost.